We are located in Istanbul. 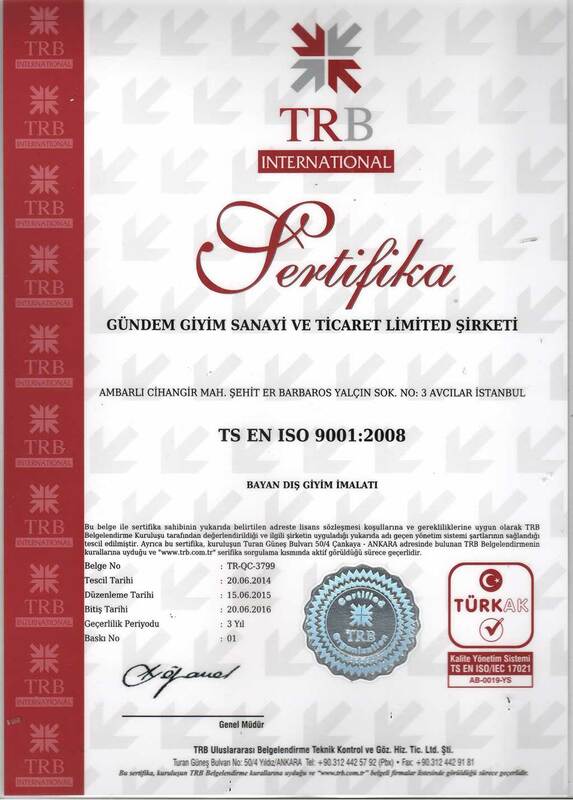 'Gundem' was established in 1986 and became one of the leading manufacturer in Turkey. 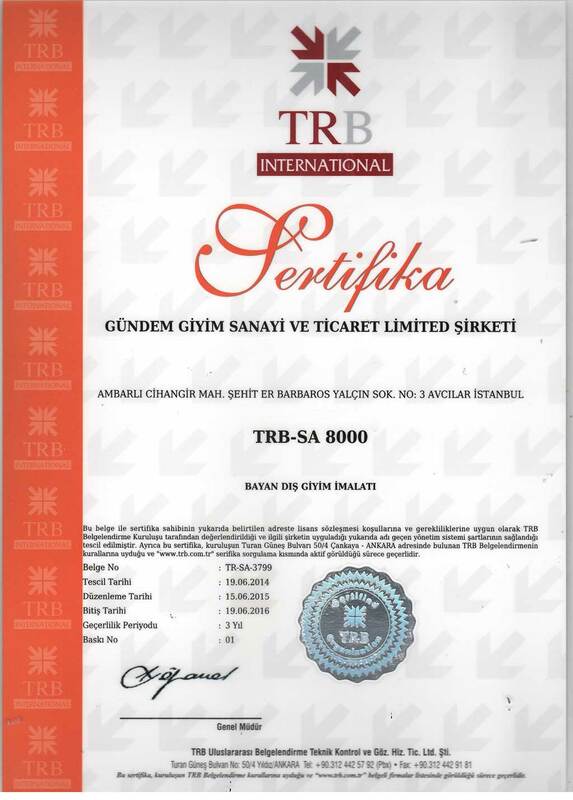 The company has located in Istanbul. Its wide production includes every kind of knitted casual, elegant, T-Shirt, dress, blouse, shorts and pants for both women and men. All productions controled by the professional staff with the latest technology. 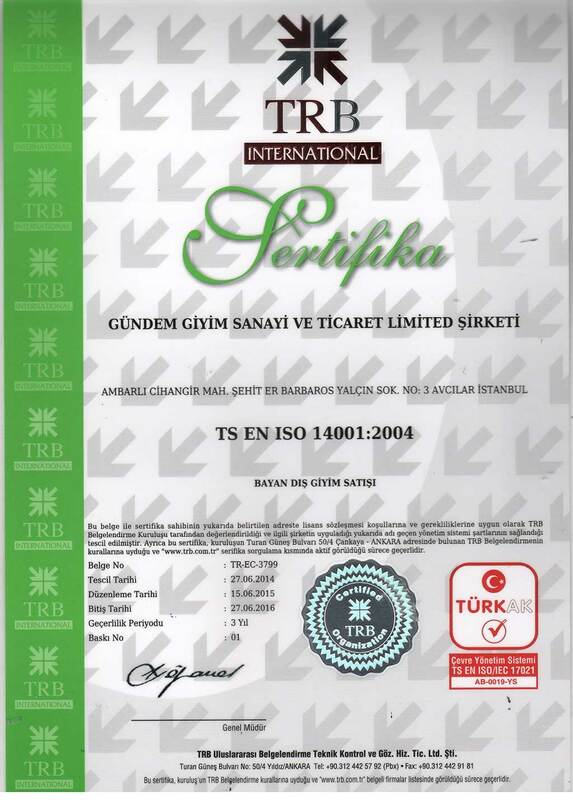 'Gundem Giyim' became a well known global producer brand for knitted out wear. Production capacity is approximately 1 million pieces in a year. Delivery time is one of the most priority component for the best production process. According to this process, our delivery time is approximately 6-8 weeks. All customers can visit our showroom to survey special collections and our own styles. We are producer but our products are sold nearly all around the world but mainly in the chain stores of our customers placed in France, Switzerland, Belgium, Italy and Russia. 'Gundem' believes that, the real success can be measured, firstly by the quality of work and secondly by the happiness of employees. We structure both our vision and mission to reach these objectives. We build up our company profile according to quality and customer satisfaction. "Consumers are statistics, customers are human"